There has been some difficulty in those who underwent the procedure accessing their medical records. MANY OF THOSE who underwent symphysiotomy operations have not been able to access their medical records from the time of their procedures. 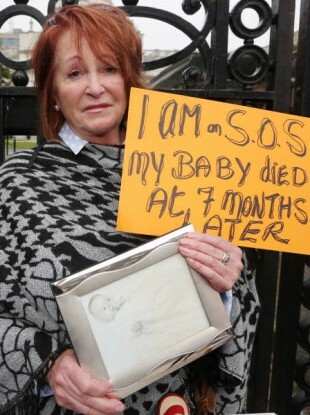 The Survivors of Symphysiotomy (SOS) group, which represents women who underwent the procedure, has spoken out on the difficulty faced by members when attempting to have their records released. This follows the closing on Wednesday of the application process for patients who had undergone the procedure. This had been extended by 20 working days from a previous deadline on 5 December. Under the redress scheme tax-free awards of €50,000, €100,000 and €150,000 are being offered. The scheme has around €34 million available to it. The fact that literally thousands of hospital records have only recently come to light raises questions… we have seen a similar pattern of non-disclosure. “There seems to have been an overarching intention on the part of the authorities to withhold them,” said O’Connor. Last November the group made a submission to the United Nations Committee Against Torture in which it described action taken during the childbirth operation as barbaric and cruel. Hospitals identified that the group have had difficulty in retrieving records from include the Rotunda Hospital in Dublin, Airmount Maternity Hospital in Waterford (which is no longer in existence), and St Finbarr’s Hospital in Cork. In response to a query from TheJournal.ie, the Department of Health said that the deadline for the redress programme would not be extended for patients awaiting records. By the 5 December, 568 applications had been received by the Department. To 9 January, an additional 23 late applications had been received. Deliberate action has not been taken to withhold medical records from any woman. It is normal procedure for hospital records to he held off site, given the number of patients managed by hospitals and the large volumes of files generated with details of procedures and case notes. Medical records are retrieved from storage when requested. When contacted, Rotunda Hospital stated that, while there can be delays in releasing records due to administrative difficulties, they were now prioritising the processing of records of those who had undergone symphysiotomy procedures. Records from the Hospital are held with the National Archives and as such data protection procedures are in place between the two bodies to prevent information being wrongly disclosed. A representative from Waterford Council stated that a small quantity of the records relating to Airmount Maternity Hospital were being held in the Waterford Archives. While having some files that dated back to 1833 – it was stated that there was a possibility that a number of records may not have survived. St. Finbarr’s Hospital in Cork were contacted for comment but did not reply in time for publication. Email “Many symphysiotomy survivors still don't know what happened to them ”. Feedback on “Many symphysiotomy survivors still don't know what happened to them ”.